Here’s the list of all the best deals in the upcoming Harris Teeter ad. Sales begin 3/25 and run through 3/31. This week, grab FREE Pantene haircare and Betty Crocker cake mix. Plus, great prices on Gillette ProGlide razors, Sargento Cheese, Mama Mancini’s meatballs, and more. 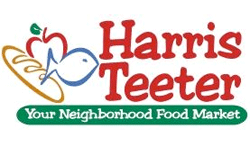 Remember, Harris Teeter doubles coupons up to 99¢! If you see any extra deals in you store please comment below and share.